If you or a family member has been involved in a motor vehicle accident and has suffered injury or death as a result, it is important that you hire a knowledgeable personal injury attorney to represent you and aggressively protect your interests. There is a lot of work that goes into properly preparing an auto accident claim in order to be able to maximize your recovery against an insurance company, whose primary goal is to pay injured individuals as little as possible. 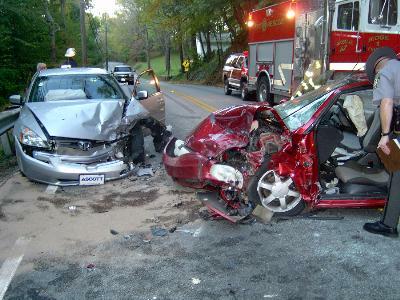 Generally, auto accident claims can include compensation for property damage, past and future medical expenses, funeral expenses, past and future physical and psychological pain and suffering, loss of enjoyment of life, disability, loss of consortium, guidance and support and past and future loss wages. The attorneys at Discon Law Firm have extensive experience in representing victims of auto accidents who have suffered catastrophic injuries and extensive damages, including the wrongful death of a loved one, and will work diligently to obtain a fair and just result for you and your family and ease the stress and burden of having to fight for what’s right against insurance companies on your own. If you have suffered personal injuries, or the wrongful death of a love one, as the result of a motor vehicle accident, you need to be smart and hire a competent personal injury trial attorney to protect your interest. If you or a family member has been injured in an auto accident, you need to obtain the proper medical treatment as soon as possible. 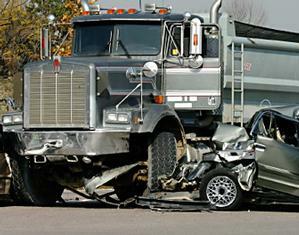 Doing so can help prove that your injuries did in fact result from the car accident. You need to hire an attorney with the resources to make certain you are being treated by doctors with the right specialization who hold your interest at heart. For more information and to determine if you have a viable claim, call 985-674-9748 or 1-800-690-6435 for a free consultation with one of Discon Law Firm’s experienced attorneys. 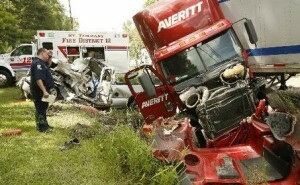 Commercial truck accident cases are usually more complex than auto accident cases. Such accidents more frequently result in devastating personal injuries that leave individuals with a lifetime of medical expenses, or even result in wrongful death. Because of this, the stakes are often much higher in 18-wheeler accident cases, which is why you need a competent personal injury trial attorney who will take all necessary steps to prove the truck driver, trucking company, employer and insurance company to be fully responsible for your injuries. The attorneys at Discon Law Firm have extensive experience in commercial truck personal injury cases and wrongful death cases and will aggressively seek to obtain the best results possible for you and your family. 18-wheeler and other big truck accidents are often the result of a driver’s negligence, but can also be caused by other factors, such as faulty breaks, defective roads or equipment, or inadequate maintenance. The individuals who operate commercial trucks, such as 18-wheelers, are legally required to comply with strict federal safety regulations, but unfortunately do not always do so. As a result, accidents between commercial vehicles and smaller automobiles often occur due to factors like a driver’s fatigue or recklessness, lack of adequate training, length of time driving, or drug or alcohol abuse. If you were injured in an accident with a commercial truck and cannot work or simply do not have the financial resources to obtain the necessary medical attention you need, call Discon Law Firm for help. Call 985-674-9748 or 1-800-690-6435 for a free consultation with one of our experienced attorneys before you speak with a trucking company or insurance company representative.